Woodrow "Woody" Medenwaldt, 90, Wahpeton, ND, passed away, Tuesday, October 15, 2013 at his residence in Wahpeton. The Funeral Service will be 10:30 a.m., Saturday, at Immanuel Lutheran Church, Hankinson, ND, with Rev. Adam Moline officiating. Visitation will be Friday from 5 PM to 8 PM with a 7 PM Prayer Service at Willow Creek Chapel, Wahpeton, and one hour before the service at the church on Saturday. Interment will be at Immanuel Lutheran Cemetery, Hankinson. Vertin-Munson Funeral Home, Wahpeton has been entrusted with the services. Woody was born September 13, 1923, in Moran Township, rural Hankinson, ND. He grew up on the family farm and attended rural school. He farmed on the family farm and on November 21, 1970 he married Judy Bartz at Browns Valley, MN. The couple lived and farmed near Hankinson, Woody retired from farming in 1994. The couple moved to Wahpeton in December of 1996, where they have since lived. Woody was a member of Immanuel Lutheran Church, Hankinson, where he was a church Elder for several years. He enjoyed playing cards with friends and neighbors, fishing, hunting and trapping. He enjoyed his family and always had candy for his grandchildren. Woody is survived by his wife Judy, Wahpeton; his two daughters, Cheryl (Troy) Dohman, Breckenridge, MN; and Kristi (Jared) Falk, Hankinson, ND; five grandchildren: Makenna, Corey, and Carson Dohman; Emerson and Kylee Falk; two step grandchildren: Anthony Dohman and Danielle Dohman, a step great grandchild, Uriah. He was preceded in death by his parents, Otto and Anna; and three brothers. 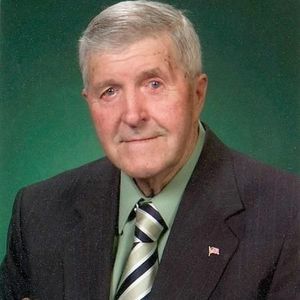 Immanuel Lutheran Church, 305 2nd Avenue NE, Hankinson, ND Funeral Service for Woodrow Henry Medenwaldt https://www.tributes.com/obituary/show/Woodrow-Henry-Medenwaldt-96544497#services https://www.tributes.com/obituary/get_ics/96544497?service=2795066&tr= Visitation at church from 9:30-10:30 A.M.
Visitation at church from 9:30-10:30 A.M. The beautiful and interactive Eternal Tribute tells Woodrow's life story the way it deserves to be told in words, pictures and video. Kristi and Cheryl, I am sorry to hear of the loss of your father. I will be thinking of you and your families during this difficult time. May God bless you all.